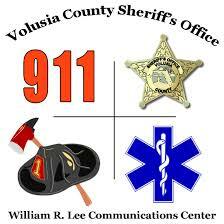 Volusia County is currently experiencing intermittent problems throughout the area with its emergency 911 system. Because of the problems, some callers have been unable to reach 911 and are receiving a recording. The situation appears to be affecting both landline and cell phones. If this situation occurs, callers should hang up and immediately dial (386) 252-4911 to reach the Sheriff’s Office’s Emergency Communications Center. The Sheriff’s Office is working diligently with AT&T to determine the cause of the problem. Updated information will be disseminated as soon as possible. The Volusia County Sheriff’s Office has been notified by AT&T that today’s problem affecting 911 calls has been identified, the issue has been resolved, and the phone lines are once again operating normally. According to AT&T, this was not a problem with the 911 system. Rather, it was a countywide network problem caused by a trunk group failure that affected phone systems between the times of 1:30 a.m. and 9:30 a.m. today. Please direct questions regarding the exact cause, nature or impact of the failure to AT&T.